« Herbie Hancock Night at Nietzsche’s! To celebrate the centennial of Nat “King” Cole, four dynamic artists present a unique tribute in honor of Nat’s life and career. 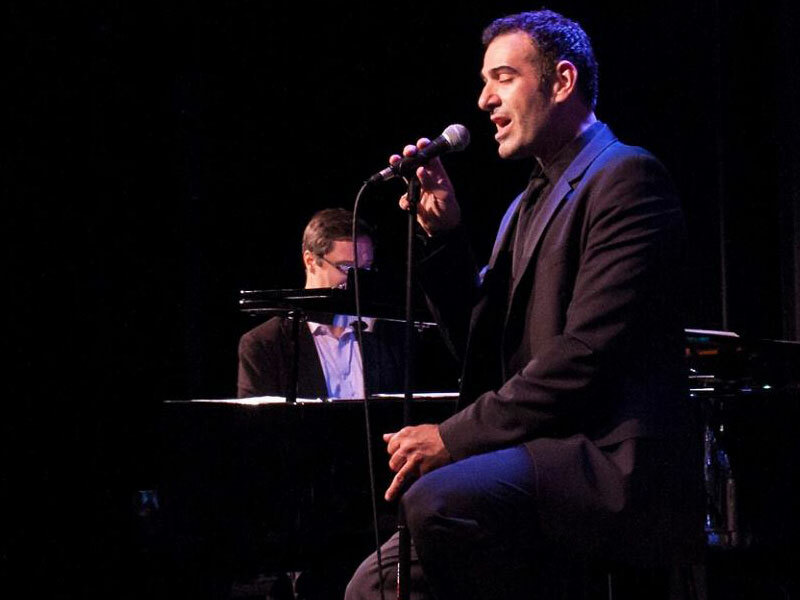 Led by vocalist Paul Marinaro, dubbed as having “one of the most beautiful vocal instruments in the business today” (Chicago Tribune), this show features the trio of acclaimed pianist Ben Paterson Music. Nathaniel Adams Coles was born in the southern United States (Montgomery, Alabama) in 1919. From dropping out of high school in 1934 to pursue his love for music full time, to being a champion of the Civil Rights Movement, Nat “King” Cole will forever be remembered as one of the most celebrated and cherished jazz pianists and vocalists that we will ever see. To celebrate his centennial in 2019, Céline Peterson(daughter of legendary jazz pianist Oscar Peterson) has brought together four dynamic artists to present a unique tribute in honor of Nat’s life and career. Led by vocalist Paul Marinaro, this show delves into the repertoire of Cole’s that many have yet to discover. The many firsts that Cole’s career saw for him were more than just the firsts for one man – they were the firsts for an entire race of human beings. In 1956, NBC gave Nat his own television variety show, which would make him the first Black man to host a show of that kind. The same year, Cole was performing in his home state of Alabama, when he was attacked on-stage by not one, not two, but six white men. The planned attack caused Cole to cancel the shows that were to follow and also left him with a back injury. At this time, Nat was one of the highest-paid and most successful working men not just in the United States, but globally. However during this period of deep racial tension and what (at that time) was considered to be one of the most violent times in the US, to many he was just another colored-man taking a spot away from a white man. Through multiple run-ins with the Ku Klux Klan, attacks, tainted career opportunities, and just about every obstacle you could face in the 1950s and 1960s as a person of color, Nat still managed to not only continue performing but doing it better than almost anyone else to this day.